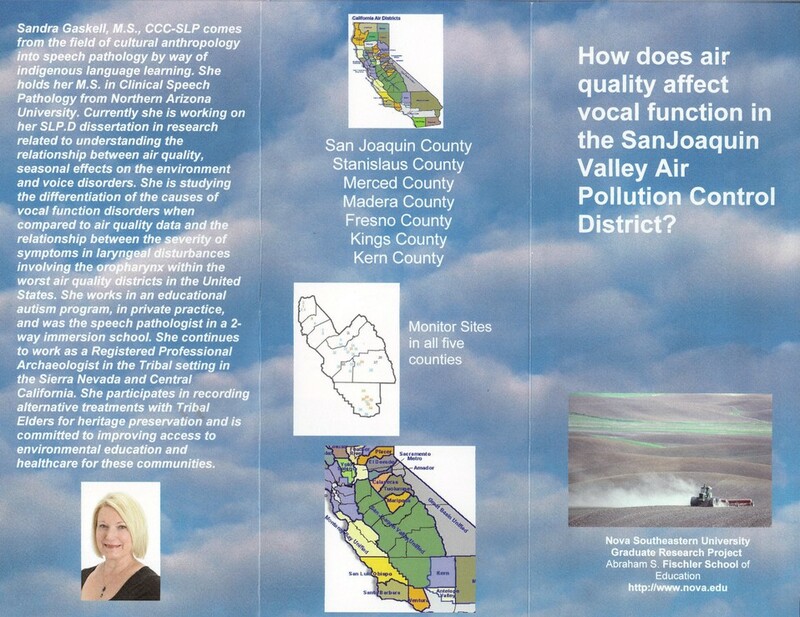 Take this survey if you are a speech pathologist, physician, ENT, Radiologist, or registered nurse in Stanislaus, San Joaquin, Merced, Fresno, Madera, Kings, or Kern counties. This vocal funxtion and air quality dissertation survey research is related to understanding the relationship between polluttion, seasonal effects on the environment and vocal function disorders. 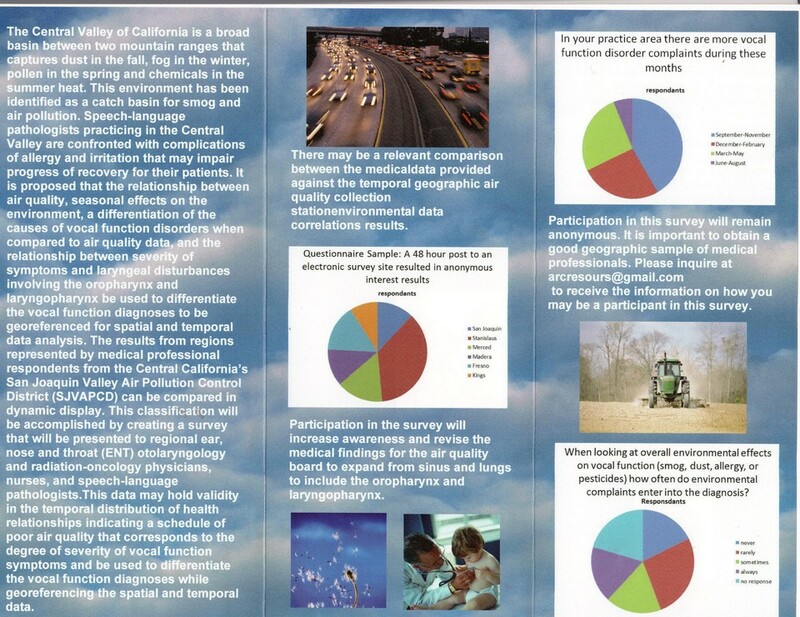 The results will be georeferenced with temporal relaitonships to air quality and the symptoms in laryngeal disturbances involving the oropharynx within the worst air quality districts in the United States. "​How does air quality affect vocal function?" Send an email and a document will be emailed to you to fill out and return, or a link for you to answer 15 questions will be sent to you for answering an online questionnaire.